SAGE EVOLUTION. LOCALLY DEVELOPED. LOCALLY SUPPORTED. LOCALLY PRICED. 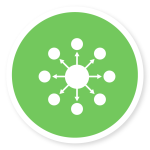 Sage Evolution Premium is an Enterprise Resource Planning solution that brings all aspects of your operating environment together, giving you the ability to control your financial situation as well as your relationships with your customers, suppliers and employees. 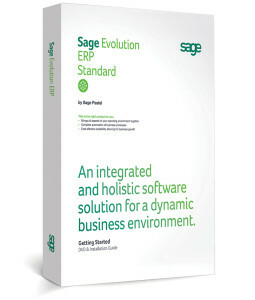 Developed within the Sage Evolution Framework, all components and modules in the Evolution range are fully integrated. They share a common interface, providing a consistent user experience. Microsoft ®’s SQL server database ensures data integrity and maintains all your data in one central database. 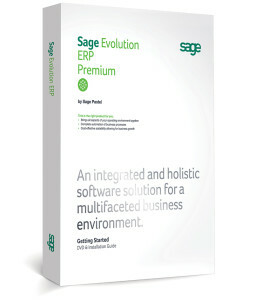 Sage Evolution as a core product is feature rich, but the add-on modules that are available make it a truly revolutionary ERP software solution. The perfect combination of ease-of use, innovation and flexibility makes Sage Pastel Partner the perfect accounting software solution for small and medium sized businesses. Suited to a multi-user and multi-company environment, this rapid processing business accounting application has been the best choice for most accountants. 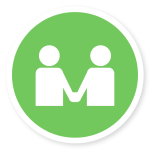 Sage CRM is a line of software products for customer relationship management in the small and medium-size business (SMB) market. 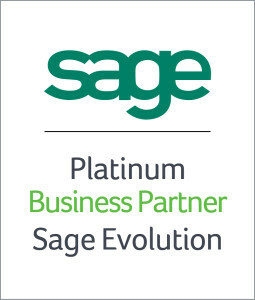 Sage offers their CRM software in three editions, Sage CRM Essentials, Sage CRM Professional and Sage CRM On-Premise. Sage VIP Premier Payroll provides a sophisticated yet uncomplicated solution for medium to enterprise businesses, offering advanced functionality of payroll and HR applications. Sage VIP Premier provides an integrated total solution offering for payroll and human resource management which is in line with Ghanaian legislative guidelines. Logick is a fully integrated milling and weighbridge software application that enables users to interact with an installed weighbridge, and any other devices that is installed for the client at the weighbridge (e.g boom gate, CCTV cameras, traffic control lights, RF ID tag readers). 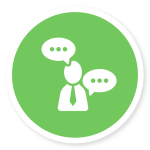 The solution allows the user to capture incoming and outgoing weighing totals, vehicle and driver detail and fully integrates with your SAGE ERP solution. Xperdyte Manufacturing controls your production processes and brings all the aspects of your operating environment together, providing an holistic Enterprise Resource Planning (ERP) solution for manufacturers. Xperdyte Manufacturing is the official Sage Pastel Software Solution Partner for advanced manufacturing. ITNA has a team of in-house developers that can develop software applications that is specially developed for a specific organization, group or user. The value of bespoke software, over off-the-shelf software, is that it can be designed specifically for key business or legislative objectives.